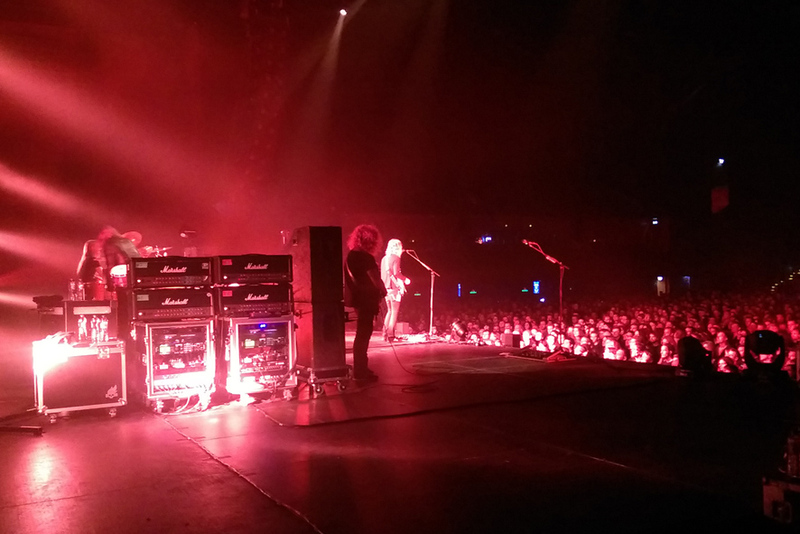 Just like for many other bands, stage soundlevel/bleed is an issue, also for Opeth. 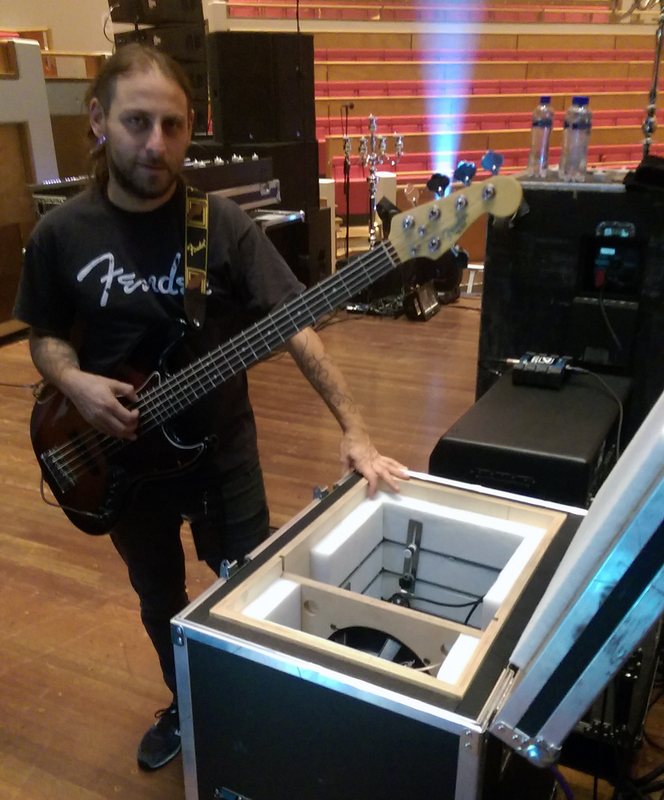 A few hours before a show in the Amsterdam HMH, we were given the opertunity to demonstrate our Box of Doom. Fredrik decided to use the BoD for the live show, so we could evaluate the situation in a live enviroment. Result was that we left our demo BoD behind for further use during the last shows of the European tour. A couple of BoD units have been prepared for the band and will also be used during the U.S. tour with In Flames. 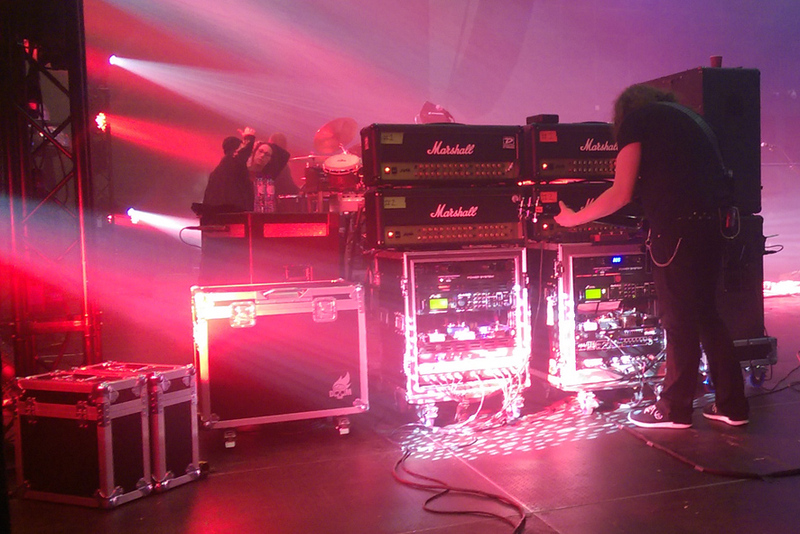 Opeth is using a stock production version, with Celestion G12M-65 Creambacks.